Is the crisis in Britain's ash forests a vision of the future? Tom Heap examines the prospects for the UK's beloved woodlands in an age of global trade and climate change. The crisis in Britain's ash forests came as a shock to public and politicians. But is it a vision of the future for our woodlands? Stressed by climate change and vulnerable to pests and diseases crossing the English Channel the prospects seem grim. In a special edition of Costing the Earth Tom Heap asks what our forests will look like in the future. Is there anything we can do to stem the flow of disease, can our native trees be made more resilient or should we consider planting a wider range of trees? 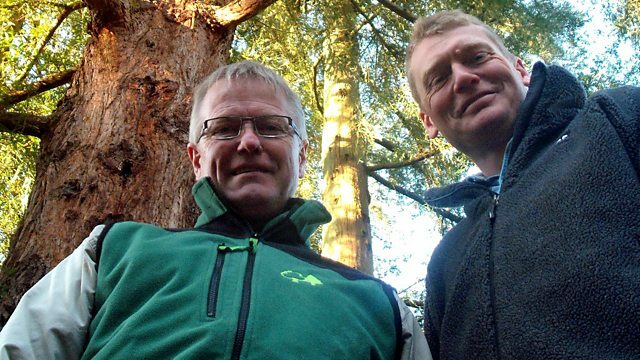 Tom visits Lithuania where ash dieback disease first came to attention in Europe to find out how they've come to terms with new threats to their forests and meets the experts and enthusiasts with a fresh approach to protecting our forests. The national tree collection at Westonbirt in Gloucestershire holds many clues to the future look of our forests. A collection of programmes and features about trees.